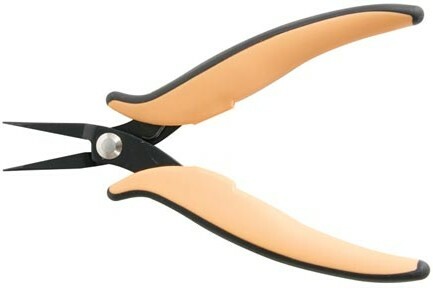 Velleman VT304 150mm Long Nose Serrated Jaw Pliers. Elongated and tapered head with extra-tough high carbon steel blades for gripping in high-density areas. Non-protruding flat return spring for excellent feel without excessive tension and glare-free black finish.